We’re getting ready to remodel our kitchen this year. We’ve lived in this old farmhouse for 4 years and it was a rental for 30 years before us. The cabinets are rotted on the inside and literally falling apart. Our fridge is a 15 year old freebie from my older brother which was an old freebie wedding gift to him. I could go on and on, lol! 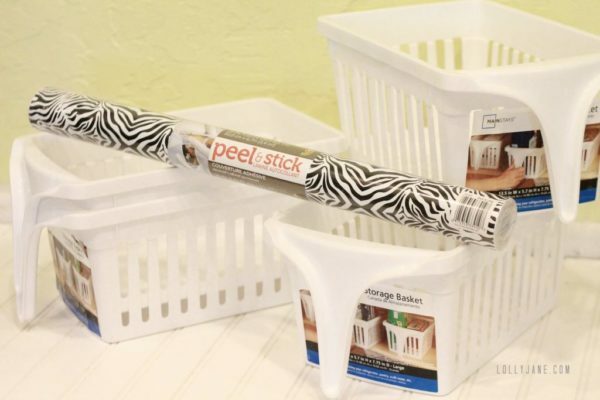 My point is…when I re-do our kitchen, we’ll be implementing quite a few of these space saving ideas like magazine racks on the insides of the cupboards to store those big ol’ pesky saran wrap and tin foil boxes. Brilliant. 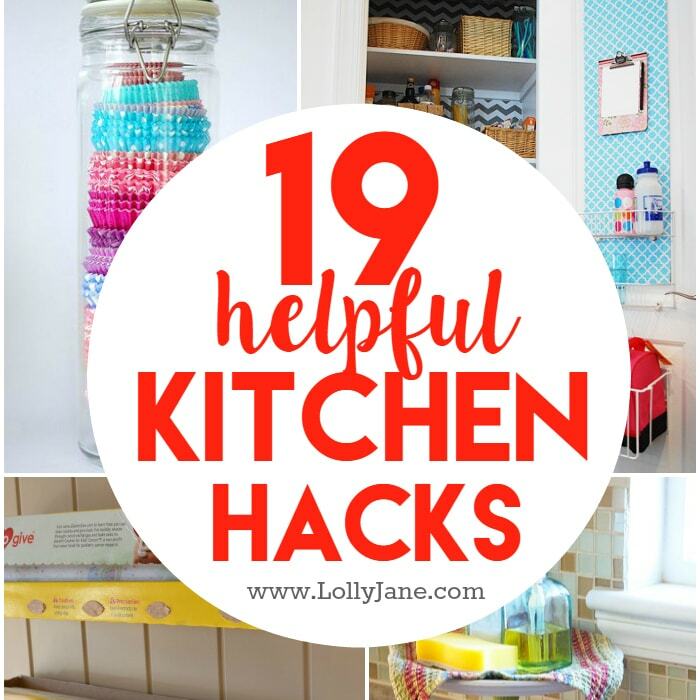 Enjoy these 19 kitchen hacks, hope you find them as helpful as we do. Inexpensive baskets make great fridge storage. 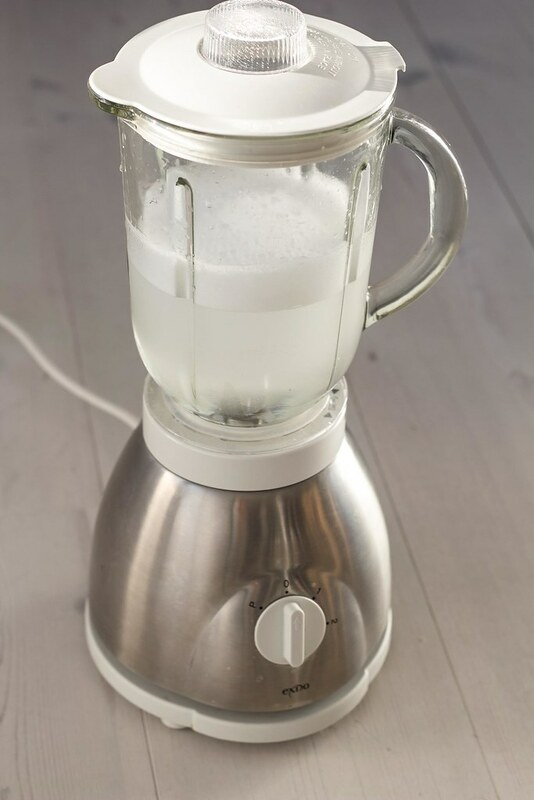 Soap + water clean a blender. 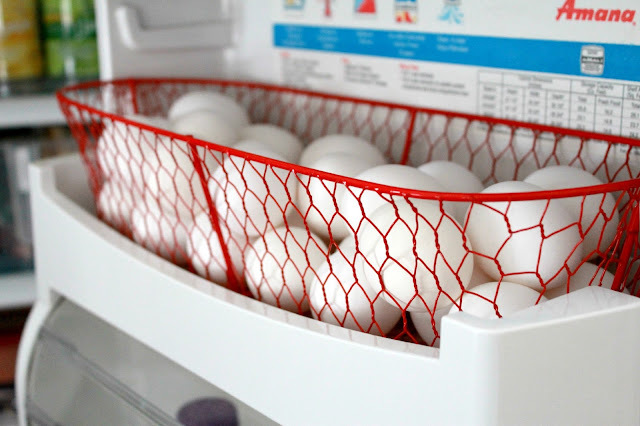 Baskets make easy to grab (and cute) egg storage. 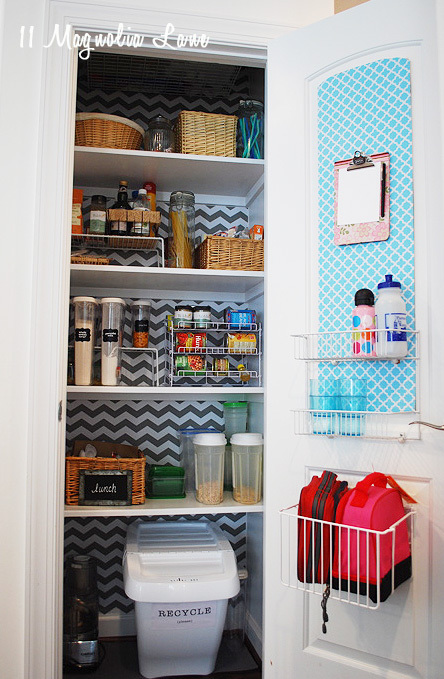 Wire baskets inside the pantry door saves space and adds storage. Tension rods make great bottle holders. 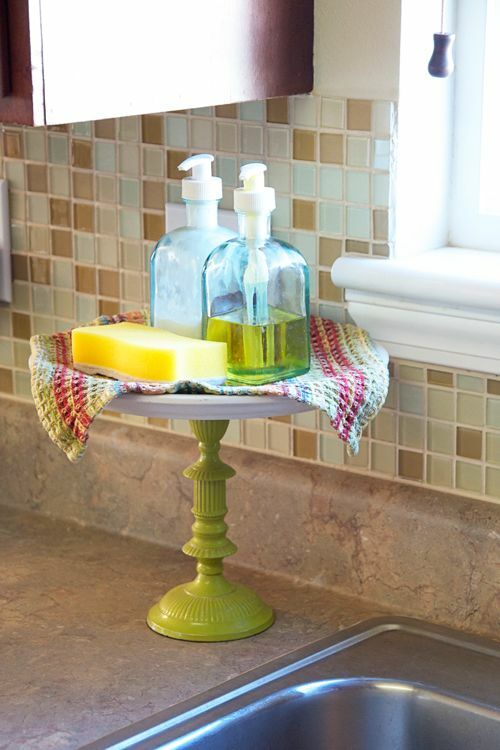 Cake stands as a soap holder to free up counter space. 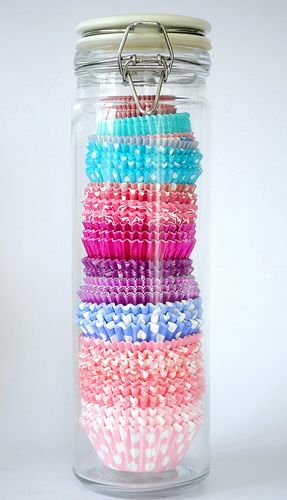 Clear jars store cupcake liners perfectly storage. 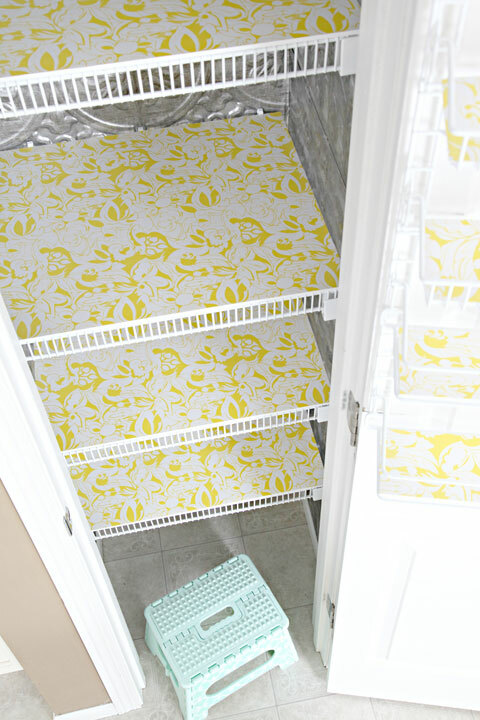 Drawer liners keep pantry shelves crumb free. 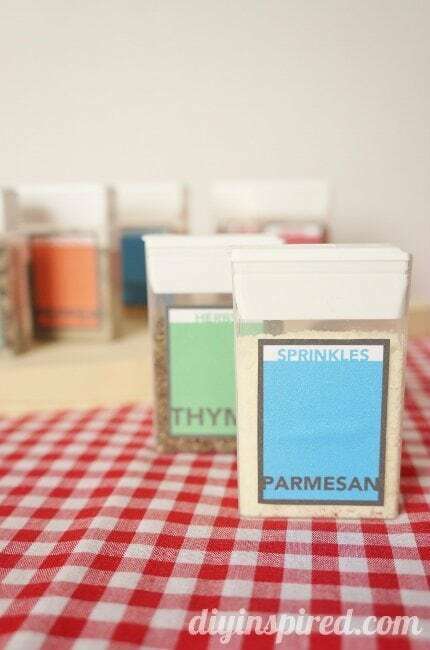 Recycled Tic Tac containers make great spice holders. 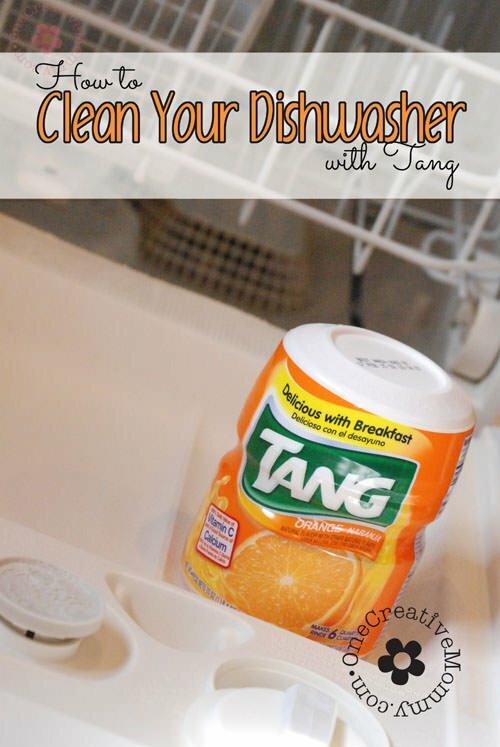 Clean your dishwasher with Tang. 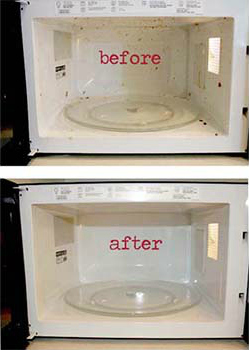 Steam clean your microwave with vinegar + water. Olive oil keep stainless steel streak free. 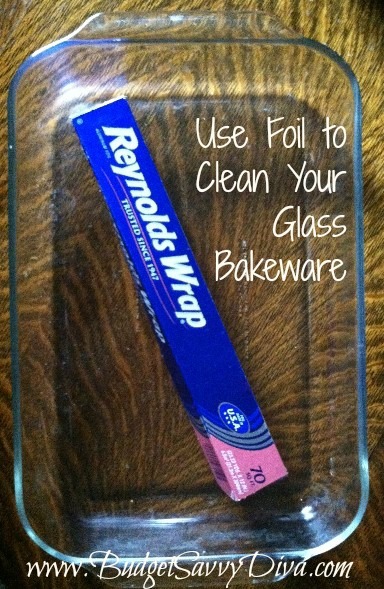 Aluminum foil makes a great glass bakeware scrubber. 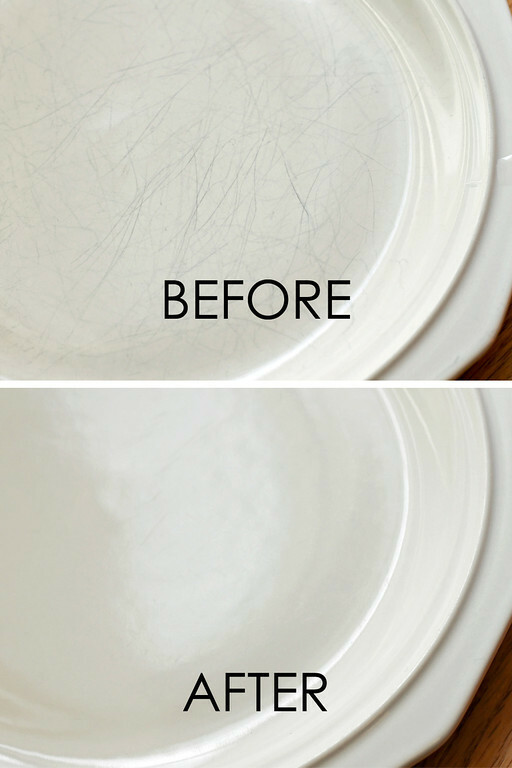 Bar Keepers Friend removes plate scratches. Binder clips held keep mildew off wet sponges. Shoe holders make great snack storage. Self-adhesive hooks easily hang plastic wrap and tin foil. We’ve love for you to share this with your friends if you find it helpful!! Looking for more? 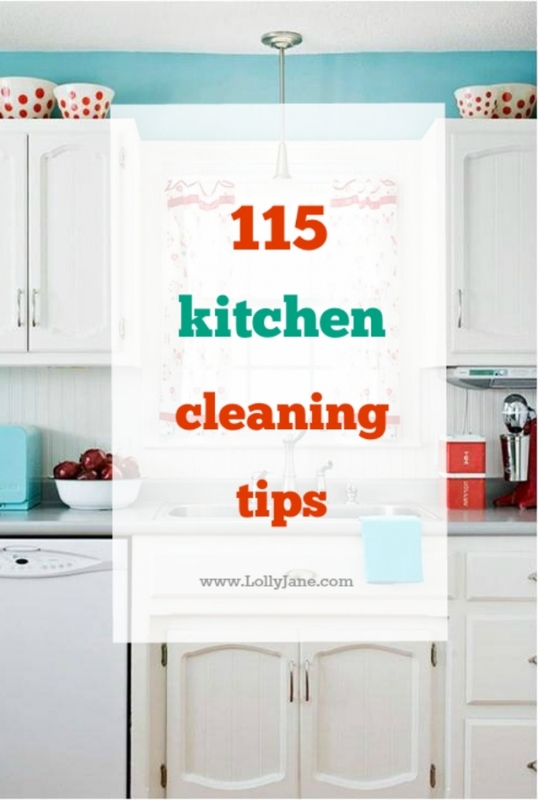 We’ve got you covered with 115 ultimate kitchen cleaning tips. 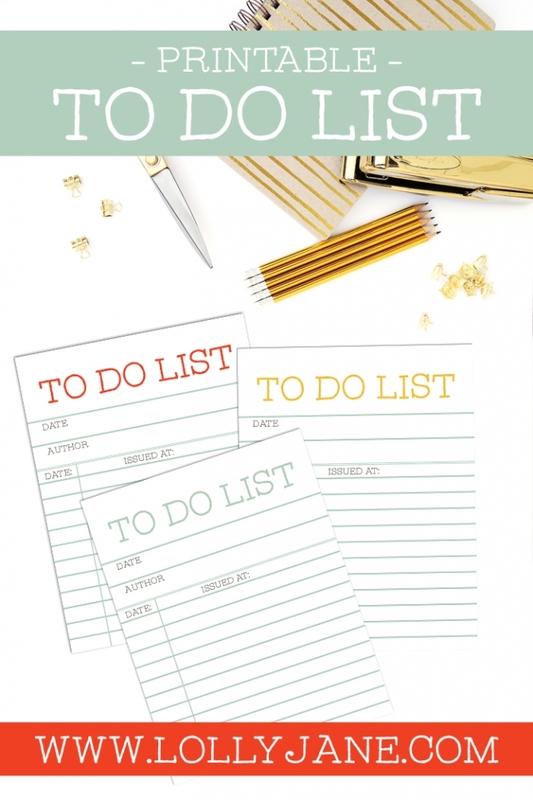 and this free printable to do list! 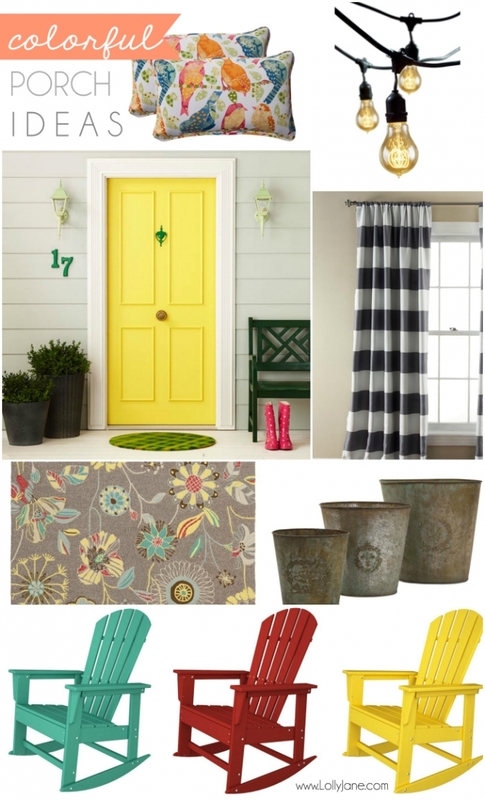 and these pretty colorful porch ideas too! 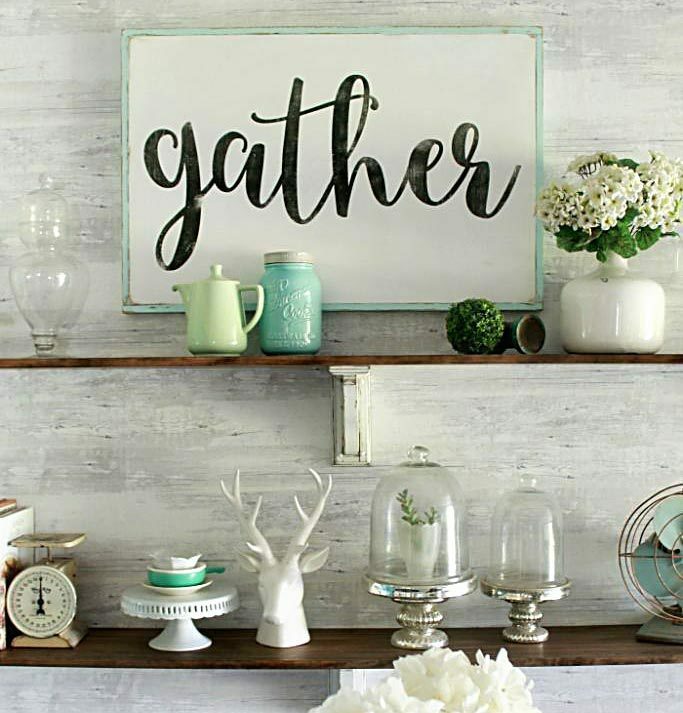 50+ 2015 free printable calendars | Ultimate Roundup! 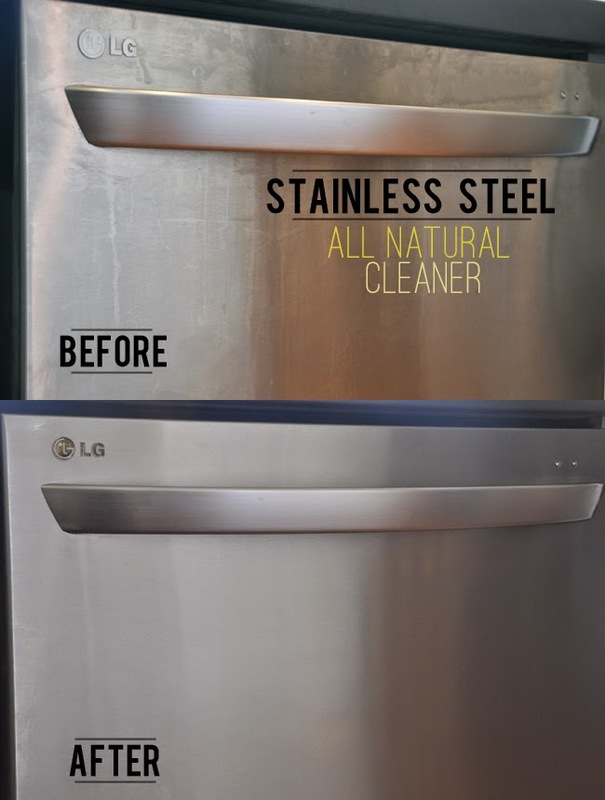 Wow i was totally blown by how tang, olive oil and foil could be such great appliances cleaning agents! 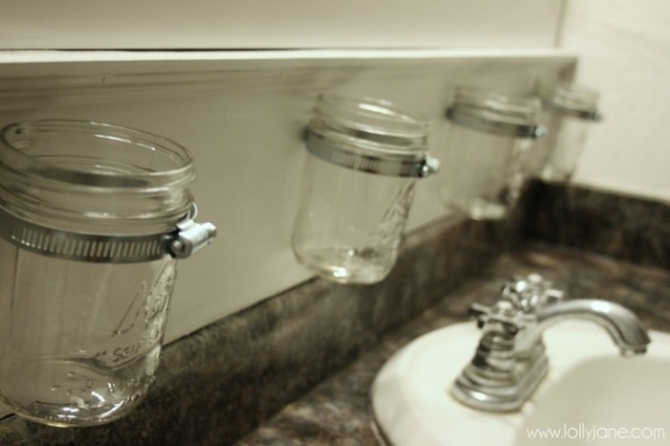 And those hanging mason jars are the cutest DIY storage I’ve ever seen in a while! Thanks a lot for sharing this Kelli and Kristi! 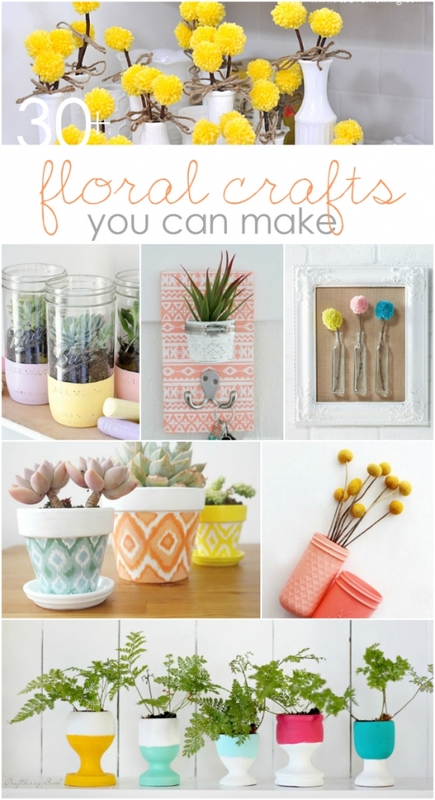 will totally try these hacks. I am going to try the Tang for sure. I generally do vinegar but the last time it seemed not to do that well. Thanks for the tips!